For the final hour of today's Romancing the Holidays Gala we are hosting a live video chat with Victoria Alexander and Vanessa Kelly beginning at 8:00pm (EST). 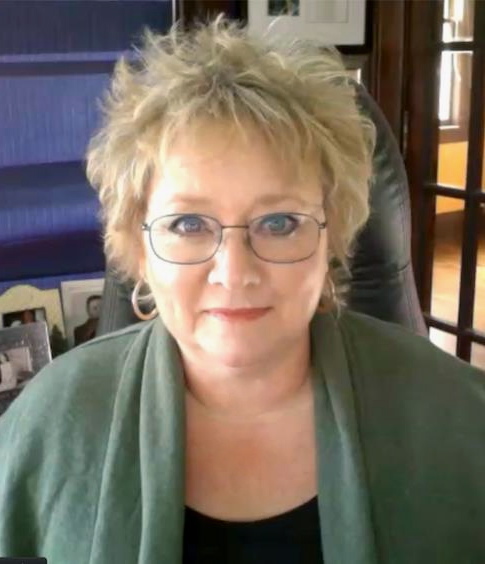 To access the chat, simply click on the link below which will take you to Lit Connect's chat site. Once at the site, click "Guest" then enter your email address and name (first name, screen name, whatever you prefer) to enter the chat. If you want to ask a question of either Victoria or Vanessa, click the ? symbol and we'll call on you. I love Christmas. I love over the top decorations. I love those foods that are only around at Christmas like ribbon candy and fudge and English toffee. (Oh sure I know you can have them at other times of year but no one I know makes fudge and toffee unless it's Christmas, which really is a good thing.) I love Christmas music (especially from Manheim Steamroller). And I love the fact that my birthday is a few days before Christmas because it makes celebrating my birthday really special. Christmas is magical and I want it to be perfect. And it never is which inevitably leads to my traditional Christmas Eve meltdown. You know—it's that moment when I'm trying to make our traditional meatless Christmas Eve dinner (shrimp, tomato soup, potato pancakes) and trying to wrap that last minute present and trying to put up that last decoration and trying to make sure everything will be, well, perfect. 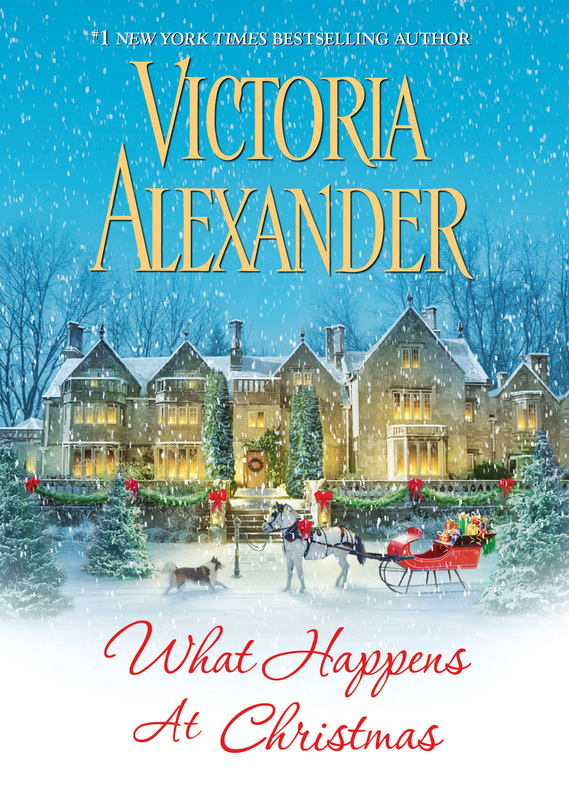 When I was writing What Happens at Christmas, I didn't realize until I was finished that my heroine, Camille, was doing exactly what I do. She was trying to make Christmas perfect. Of course, she was doing it for a prince and I'm doing it for the people I love. I want my family, especially my kids, to remember Christmas as magic. And perfect. Oh sure, we've had those years when the Christmas tree has fallen over. We've had minor fires thanks to candles placed too close to decorations. We've had presents that haven't arrived, unexpected houseguests who have, bad weather that cancelled everything and all sorts of other holiday mishaps. At the time, they felt like major disasters. There was gnashing of teeth (mine) and much weeping and wailing (mine, mine) that Christmas was ruined. It wasn't of course. Camille's Christmas wasn't perfect and neither are mine. My kids are grown now and when they talk about Christmas Past, it's not the perfect dinner or the perfect decorations or the perfect gifts they remember. It's the fun and the laughter and the love. Hour One—Welcome to Romancing the Holidays!!! Okay, this is my Christmas confession. There are all sorts of things I love about this time of year. Most of them are pretty obvious—decorations, parties, finding the right gift and so on. But I do have a Christmas addiction that I rarely talk about. I am hooked on made-for-tv holiday movies. That's right. You know the ones I'm talking about. They start running on tv in October. Just a couple a week to kind of ease us into the overload to come. By the time the Thanksgiving dishes are done, you can find one running on one channel or another almost any hour of the day or night and on more than one channel. And I can't resist them. My family, of course, thinks I'm insane. They feel compelled to point out flaws in the plots or bad dialogue or poor acting. And yes I notice the flaws and I do think I would have written it differently but overall—I ignore any problems. Oh sure they're pretty similar. And the premise often sounds much better than the execution but they're like Christmas treats for me—one is never enough. Until now, I've never really given much thought to why. Now, the little Christmas light bulb has come on over my head. In one way or another they all have elements of those classic stories of Christmas we all know and love: It's a Wonderful Life, A Christmas Carol and The Gift of the Magi. Whether they're dramas or sheer comedy they're all about redemption and second chances and forgiveness and love and miracles. Universal themes. I didn't when I wrote it but I can now see the influence of those classic Christmas themes in What Happens at Christmas. And I suspect they came from my unflinching love of Christmas stories—whether they're on tv or between the covers of a book. Made-for-tv holidays movies is one vice I refuse to give up but I will try to cut down. From now on, I promise not to watch in any month that doesn't end in b-e-r. So what's your secret Christmas vice? Welcome, Victoria! We're delighted to have you join us for Romancing the Holidays! My not so secret vice is how I love Rudolph and The Grinch. Still watch them every year. I just saw The Grinch the other night. My vice is probably overindulging in food, especially the desserts. Oh so easy to do! Hmm my vice is gifts! My husband always says he doesn't want anything but I love finding the perfect gift, sometimes more gifts than necessary! I adore Christmas romances and A Charlie Brown Christmas. I love that story, I have the book and the DVD, I had VHS first. As a kid I was afraid of fireworks and every 4th of July I would bring out the book and read A Charlie Brown Christmas until they were over. Snoopy hold a special place in my heart, silly as it is. Ann, my dog Sarge holds a special place in my heart. When I come home from a terrible, horrible, awful, very bad in court (LIKE YESTERDAY) I tell Sarge all about it, and it doesn't seem so very earth-shattering. They're good listeners, aren't they? I made my boyfriend watch "A Christmas Story" for the first time last year. Then we went out for Chinese food. I'm probably the only person here who's never watched that movie all the way through. Think of Ralphie as the engineer who got chewed out by the bad guy in "Iron Man". I've never watched "A Christmas Story" all the way through either, even when it plays on a loop on Christmas Day! Never liked it enough to watch it through. I tend to eat to many treats at Christmas :) Chocolate, cheese cakes. pies I can't wait!! Have to admit I do love those made for TV Christmas movies too. Hallmark has one airing on ABC Sunday night that's based on Christmas Eve at Friday Harbor by Lisa Kleypas. The movie is titled "Christmas with Holly." I love the book Christmas Eve at Friday Harbor, I can't wait to see it as a show! Hi, Victoria! 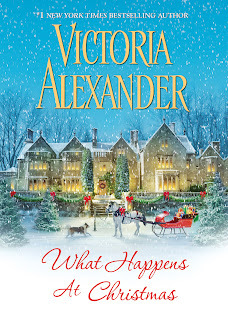 First of all, I want to tell you how much I enjoyed reading "What Happens at Christmas." It was totally delightful and unique and I have told others that I have placed it at the top of my favorite Christmas novels. You are one talented lady! My vice at Christmas is probably in making or buying unique Christmas treats for the people I love. We all try to cut back during the year, however, we need to indulge ourselves at Christmas. That's what it's all about! we need to indulge ourselves at Christmas. That's what it's all about! I'm waiting for somebody to make fudge. I get it one time a year and I can't wait! Oh my...where do I begin? First, I absolutely love the Christmas tv movies, especially on Hallmark and Lifetime. Then, I must watch Rudolph. A tradition since I was six years old. Hmmmm, and I'm now I'm....a tad over 50. LOL! Then there are the movies, "It's a Wonderful Life, Love Actually, Christmas Story," do you see how I am? Second, I only read holiday themed books from the middle of November until after Christmas. I used to work for Borders (Romance Expert) and this was the best way for me to "keep" my holiday spirit. There is nothing like a good holiday romance to keep my Christmas spirit alive. Thank you ladies! Oh, I so agree! Especially when you're working retail (like I am!). First of all LOVED What Happens at Christmas!! Putting it on the shelf with my other Christmas vices - historical romances set at Christmas! I have an entire section of my library with nothing but historical romances set at Christmas and anthologies of the same. I always drag them out right after Thanksgiving and read them all over again by New Year's Day. I can't resist them!! Oh, and those little Reese's Christmas trees. I try to turn my head when I walk by them at Walmart. It doesn't do any good. They call my name!! My Mom shares your vice! Those made for TV Christmas movies are on at her house from Thanksgiving through Christmas Day. She watches them all, even the ones she has seen a hundred times. I will confess I have a stack of Christmas DVD's I watch every year. They keep me from going NUTS at work. I work at Walmart. During the holidays? SHUDDER !! Reese's is diabolical. I swear they make their holiday themed sweets sweeter or more peanut buttery or something. The Easter Eggs and pumpkins and trees are just better than the standard peanut butter cup. OMG! I haven't seen those! Must ignore Reese's...must ignore Reese's...must ignore Reese's. Aha! Another person who KNOWS those Reese's eggs, pumpkins and trees are all part of some diabolical holiday plot! Thank you, Grace! My brothers say I am nuts, but I KNOW those holiday Reese's have some secret ingredient not included in the regular product. PJ, try to resist the temptation. Once you taste one of those Reese's Christmas trees it is all over! They actually do make them sweeter for the special holidays! We watched an episode on "Unwrapped" on Food Network about it! I hear more groans from my husband this time of year. :p I love watching the holiday movies on Lifetime TV and Hallmark. Hey, what can I say. I love sappy movies. Do the ones inside the chocolate dipped cherry cordials I make count? I like watching the kids Christmas shows like Rudolph the Red Nosed Reindeer even though my kids are grown. The Land of Misfit Toys makes me cry, and I love the Bumble! This is no secret. I hope everybody's paying attention upon whose list my name appears: I love See's dark chocolate marzipan. I love anything See's makes! Reading Christmas romances and eating the special holiday kisses candy(any flavor)! I really like those Christmas nuggats...nono food for sure. I don't think I've tried those. My vice is the driving around our neighborhoods looking at the lights. Each house is inherently different and each family has a unique way of showing their Holiday spirit. Things I would never think to do are on display. Little works of self expression. I like that. And does your neighborhood have that one house that goes over the top, overboard, all twelves days, moving reindeer and music on the PA? All I can think of when I see those displays is, "We're not making fossil fuel at a rate that will admit of such extravagance..." But I love those displays and rejoice to see them every year. One of my favorite things to do too. Haha! No, we are lucky enough to have neighbors that refrain from turning their yards into an animatronic travesty. We do have one neighbor that has a spotlight on his roof and hoof prints repeatedly appear on the roof. It has to be some sort of light/shadow effect.They must think I am stalking them by the way my 5 year old daughter and I stare at their home. Regardless, it is incredibly creative and that house has me absolutely transfixed. Another vice is when I'm shopping for gifts, I tend to buy stuff for myself, too. Jane, you're the only person on the entire planet who has EVER done such a thing! You probably snitch from the grocery bags too, and nobody else has ever done that either. I know. I'm a horrible person. It would have to be the Christmas-themed treats, everything from the log cakes and the cupcakes. Na said the C word. I was doing so well, and then she had to go and cupcake on us. I especially like the ones that are as much frosting as cupcake. My secret holiday vice...I'll tell, but you have to keep it a secret. I help myself to candy from the kids' stockings. I'm not much of a candy person, but I just can't help but snag a couple of pieces of chocolate (my mom buys it for them) from their stockings on Christmas eve! LOL! A most worthy skill! Santa Claus is always watching! My mom's cousin was a maple syrup farmer. I still remember sipping the hot syrup from the vats but my favorite was always the maple sugar candy. I love to go to the beach around Christmas--I guess I'm a contrarian--I love ice cream during the cold months, too! Ice cream is an all-weather, all-season food. I'm told Down Under a beach barbeque is a common Christmas tradition. My traditional vices are peppermint schnapps hot cocoa or triple dark gingerbread. Grace Burrowes Christmas books are fast supplanting *both* of those items as my top holiday vice...to the point I own them in paper and ebook format. Kitchen Witch, do you like kahlua? If you do, try adding some to the peppermint schnapps and hot chocolate mixture. It's fabulous! oooo...and with that I'll be brewing a batch of coffee liqueur this weekend! Shucks. Thanks, KWOW! I'm a Frangelico hot cocoa girl myself. I love to buy books. I don't get to read them right away, but I have this addiction to getting them and having them. I eventually read them, but takes awhile. I have about 400 books on my nook, about 200 on my kindle, and have about 250 actual books(hard cover & soft cover). I have probly read about 50% of them. I love love love Holiday movies! Can't get enough and frankly some are really badly acted, but I don't care. Most just make me feel good! frankly some are really badly acted, but I don't care. LOL! They are, aren't they? But I don't care either! What are your favorite kinds, May? I remember when my dad bought some wooden ornaments and they were so cute I was so excited to hang them up on the tree. Awww. That's a nice memory, Jane. I really wish we kept most of those ornaments. I think most were thrown away through the years. Favorite Christmas memories are the excited voices of the children trying so hard to get to sleep so Santa could come. However, they were so wound up that it took extra calming and rubbing their little backs to finally get them to go to sleep. Of course, they were up at the crack of down with their giggles and happiness just pouring throughout the house chaffing to get downstairs to see what Santa left them. Christmas through the eyes of children is the absolute best! My favorite Christmas memories all revolve around the kitchen. I remember working next to my mom & grandma in the kitchen, baking cookies & pies & preparing the holiday meals. Now, those are my favorite times with my kids. Every year, they get to take on a little more of the kitchen tasks. It's wonderful to see them enjoy it, and heartbreaking at the same time because I know in a few more years they'll be out of the house. But then you'll be able to look forward to sharing the traditions with grandkids! where is the video chat going to be at? I'll post the information at the top of the blog at 7:45. I hope it will be a lovely holiday for you, Jennifer and the beginning of a stronger, happier marriage. Jennifer, the stats are that if you reconcile, you usually make a go of it. The odds are in your favor, and the initial reports sound encouraging. Make him read you some Christmas romances while he's on his good behavior. Secret Christmas Vice? ==> Cookies!! My favorite Christmas memories are some of the truly funny ones! One of the years we lived in England "Santa Claus" brought all three of us bicycles, bicycle which had to be assembled. Years later my Mom could never tell the story without laughing until she cried. My Dad was an airplane mechanic and later an automobile mechanic but that Christmas he spent the entire night swearing a blue streak assembling three bicycles before the three of us got up at the crack of dawn! In that same house, the older of my two brothers sneaked down the stairs before anyone else and unwrapped ALL of the gifts to see what they were. Then he did an awful job of trying to stick the paper together and my parents knew what he had done! But my favorite Christmas memory, one we laugh about every year, is the infamous Batman Utility Belt incident. My brothers both got these great Batman Utility Belts from Santa. (this was in the 60's so we're talking the original Batman!) Each one came with a spring-loaded stopper gun that had a rubber tipped dart to shoot from the gun. My three-year-old brother pumped his up and ended up shooting my Dad right between the eyes. Poor Dad went down like a felled deer! My poor brother thought he'd killed Dad! Dad had a perfectly round stopper mark on his forehead for a week. We lost Dad fifteen years ago, but every year we tell the Batman Utility Belt story and the memory of the look on his face and his teasing of my brother for YEARS after that is one of our best Christmas memories. What a great memory to have to keep your dad alive in your hearts. Off to ebay to see if there's any Batman vintage goodies available. I need me a dart gun. Alright, I can't top Louisa. I am cracking up. Too funny. My favorite Christmas memories are reading my new book. Seriously, I always received a book from Santa and I always loved it. You sure did! Congrats and HAPPY BIRTHDAY! Janga, I cry over the Folger's coffee Christmas commercial. You can imagine what a water bucket I turn into over books and movies! And we can probably recite "It's A Wonderful Life" word for word, but we cry anyway... That movie has no doubt saved lives and families. Those coffee comercials do it to me too! My favorite Christmas memories is when all of my extended family came for the Holidays, there wasn't enough room to sneeze we were all so packed in, and the line for the bathrooms was crazy!! But the love was overflowing, the laughter was endless and as we exchanged stories, it became evident that we needed to do this more often! So it has a tradition that has lasted over 30 years now! The very best kind of tradition! And my favorite Christmas memories are all the Christmas evenings my sister and I hopped in the car and drove around town looking at all the lights and decorations. Since I've moved across the country, we don't get to do it anymore and I really miss it. I try to drive around my neighborhood at least, but it's just not the same. My fondest memories are of our large extended family getting together for Christmas, packed into my grandparents' home. My grandparents are no longer around, and the gathering has shrunk a little. My baby brother is keeping the tradition alive by having the family get together at his home. A baby will be joining our extended family in April. This will be my brother's first grand child. We're looking forward to happy little sounds. I love the sense we get at the holidays of how a family breathes. We grow, we marry, we have kids, we pass on, but the family continues and love abides. You try it first, Holly. I have four brothers, and I am not about to sample the yam pudding or the reindeer milk first. LOL @ Grace. I have four brother too. I understand. Smart woman, Grace. I have two brothers and the words I used to dread most were "Hey come here. Let me show you something." It usually involved a headlock, a karate move (my youngest brother has a third degree black belt) or something completely disgusting for me to taste. Brothers are NOT to be trusted! OH MY GOODNess you would think it was pumpkin if you were not told, my mom makes it the same way as pumpkin including the spices..truthfully i like it!!!!!! Favorite childhood Christmas memories are baking with Grandma, and there always being a particular-sized wrapped gift under the tree from her/santa: 4-6 Nancy Drew or Trixie Belden books. Usually hidden behind a squishy gift: hand knit sweater by Grandma. Decades later I've pulled those sweaters out of the cedar chest and am wearing them again. My favorite adult Christmas memory is from 2002 when my Christmas Kitten kept climbing & riding the tree. I haven't seen those TV Christmas romance movies on the Hallmark channel, but I do catch Elf, A Christmas Story and Bad Santa when they're on. I wouldn't mind having one of those leg lamps from A Christmas Story. I'd forgotten the leg lamps, but maybe that's a good thing. In my neighborhood growing up, there was a parental mafia involved in hiding presents from house to house. OH the leg lamps--- Walgreen's here has them out every year, including the little nightlight one..Still laugh when I see them. My favorite memories are of my children's excitement come Christmas morning when they were little and they were always so excited for me to open the present they made in school. It's not that Christmas is just for little kids, but their excitement is so innocent and infectious, and they're happy with so little. I remember as a child, anxiously watching the news on Christmas Eve as they "tracked Santa". My sisters & brother would get so excited we could hardly sleep - my parents would just barely make it to bed after wrapping and assembling presents all night when we would run into their bedroom and get them up. My parents had seven kids. By the time I came along (sixth), they were no longer getting up. They'd come home from midnight mass, watch us open presents, then collapse. Sorry I am missing this party but have been cooking all day. The biggest fun is yet to come. Victoria will be doing a live chat in the final hour, assuming technology cooperates. My favorite memories are of holidays at my grandparents, I had my own room because I always took a nap before dinner and had my own little radio I'd listen to and wake up when every one was going to the table! When I was very young, my bedroom was directly beneath the living room, and I shared it with 3 sibs. I recall falling asleep to the sound of my parents visiting at the end of the day. Lovely memory, thanks for reminding me. Kylan, can we get those recipes somewhere? I'd love them too, Kylan! My secret Christmas vice (though I don't know how secret it really is) is overeating! I'm so sorry I've missed the whole thing!! My Internet went out and has been giving me such problems! I was looking forward to this chat! Jessica--sorry you missed it! We had a great time. What a fun chat--thanks, Victoria and Vanessa! And thanks, Grace, for kicking off the whole day and being the details wizard behind the curtain. It was a pleasure and an honor to "Romance the Holidays" with you three ladies. PJ--thank you so much for having us! This was wonderfull!